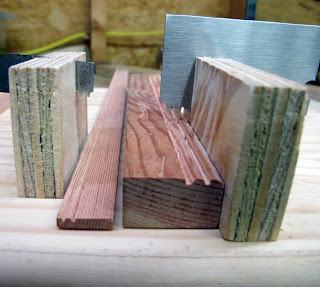 Any spring or thin cast steel (think handsaw blades) can be cut to size, filed to any custom profile and inserted into a piece of scrap lumber to make a molding tool. From start to finish (including cutting a bead on a test piece), this process took me about twenty minutes. 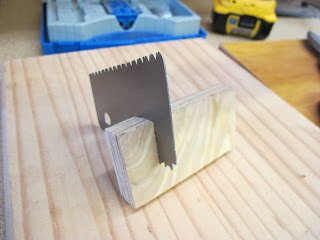 First, I went to my local hardware retailer and bought the cheapest handsaw I could find...it's ugly too. 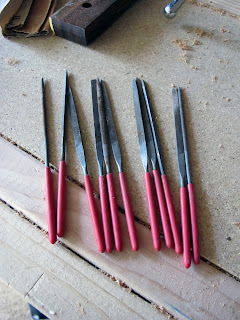 I brought it into my shop and proceeded to cut it up with a set of hand shears. 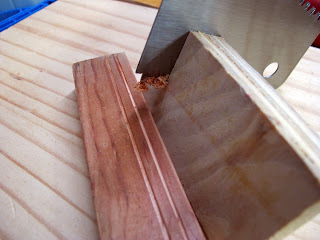 Then, I mounted the cutoff in my vise and filed a profile into the steel. I just "freehand filed" a profile I liked, however, I could have used a shape template and a scratch awl to draw a profile into the steel and then filed to the markings. 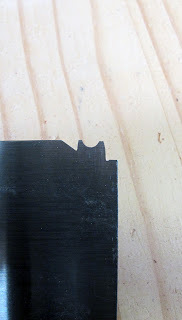 A profile copier can also be used to trace a shape onto the steel if you need to use the scratch stock to match a piece of existing molding (for a repair or addition). 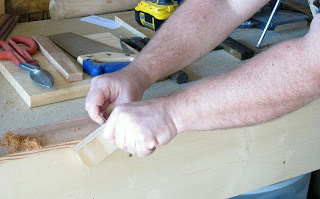 Once I got a profile I was happy with, I lapped each side flat with a sharpening stone so that the scratch stock works on the push and pull stroke. Then I used a saw with a more narrow saw plate (my dovetail saw) than the scratch stock to saw a slot into some scrap plywood. 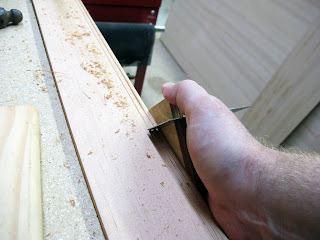 I like the plywood because it is less likely to split when I hammer the scratch stock into the kerf. 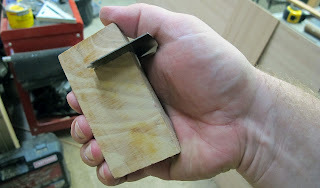 It is certainly possible to make a universal handle which is also much less ugly, but this way is super cheap and just as effective. This one is adjustable with a small hammer. 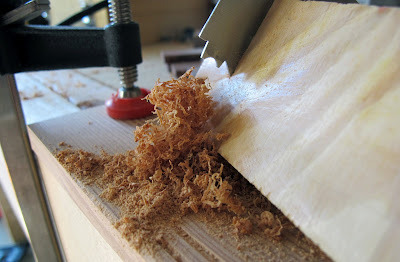 I tested the tool on this scrap piece of old pine. Scratch stock works better in harder woods, but with a little practice it works just as well in soft fibrous ones too. I used this tool to cut a bead into some old douglas fir that I am using as trim on the entertainment center I am building. Even though douglas fir is very fibrous and brittle, this tool cut a nice sharp bead into the molding. Just like using a plane or a hand scraper there is a right direction and a wrong direction to plane depending upon the grain in the wood. 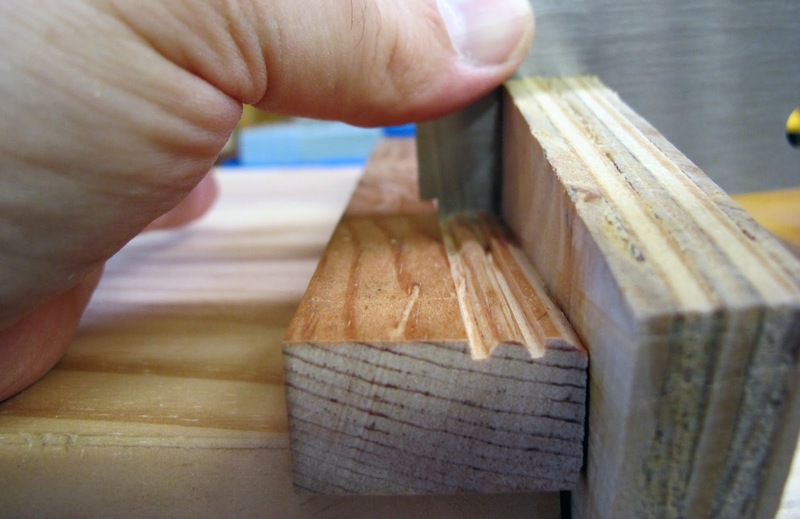 With a little practice this is easy to determine, if the tool is sharp this often won't really matter for small profiles anyway. I made several profiles out of one small piece of saw, the entire saw cost me $10, and I have enough steel to make many, many more profiles. You Get A Saw That Cuts Around Corners!! This is brilliant! 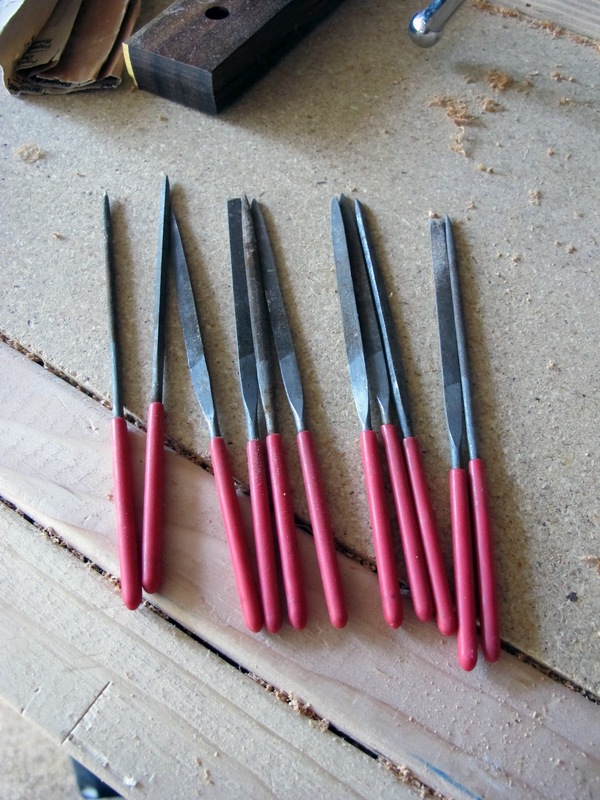 Do you file a single bevel or double bevel into the tool & if single which way does the bevel face in use? 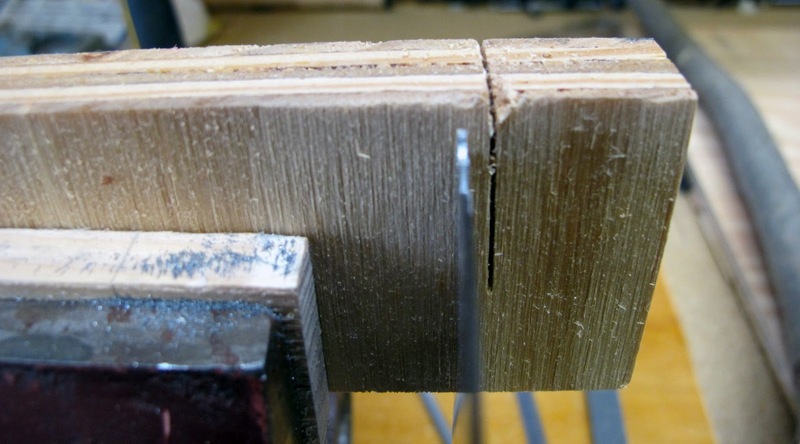 The scratch stock gets filed and honed at a 90 deg angle on all faces. It should work like a card scraper or rip style teeth on a saw. 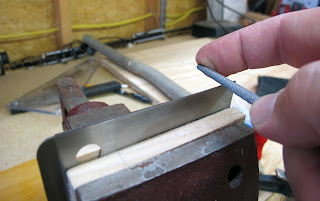 This tool excels at long grain work (most trim runs long grain anyway) but if it is nice and sharp, and with a little practice, it should make very small cross grain profiles without much difficulty. I honed each face flat on an extra fine diamond plate and then used a burnisher (scrap hardened steel, a screwdriver shaft will even work) on the profile to "hone" it flat so that it met each face at a 90 deg angle. 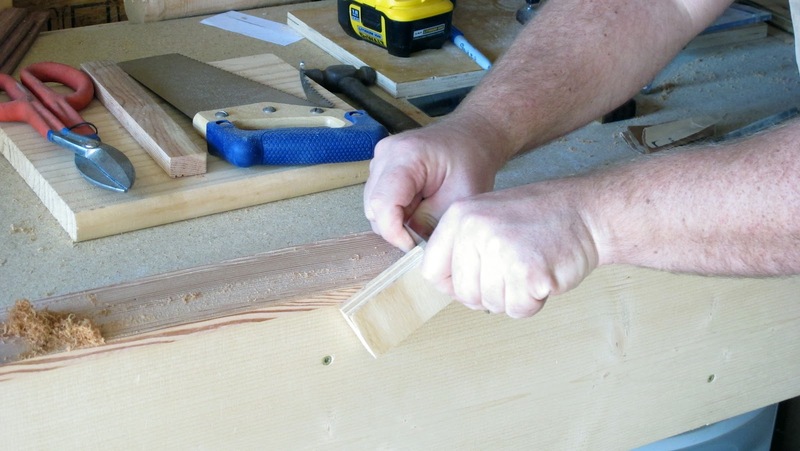 This allows the tool to be used in both directions along the grain of the wood. Hopefully, that answered your question. Thanks!